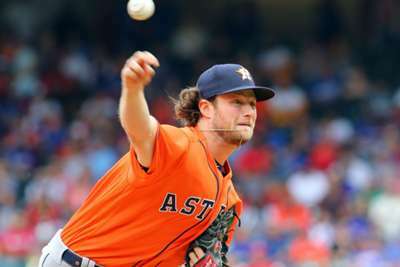 Gerrit Cole struck out 11 and gave up only two runs in six innings to lead the streaking Astros past the high-flying Mariners in MLB action. Colorado's Marquez (2-1) struck out eight batters and threw 105 pitches in the sterling effort. It is the first complete game of his career, and the first in the majors this season. Nolan Arenado hit his first home run of the season and drove in three runs to key the attack. Arenado shows once again why he is a six-time Gold Glove winner. The surprising young Mets are out to a great start, with young slugger Pete Alonso and the offense leading the way. The Phillies staff have struggled, but Bryce Harper (four home runs) and Philadelphia's big bats have picked up the slack. Projected Mets starter Noah Syndergaard (4.74 ERA in three starts) and Philadelphia's Aaron Nola (6.46 ERA in three starts) have not been sharp so far.